A US Navy warship deployed to the Persian Gulf has been quarantined at sea for more than two months because of a virus outbreak, a rare move the US Navy revealed Wednesday. Sick sailors were quarantined aboard the vessel and treated in the onboard medical facilities while their living areas were cleaned and disinfected. No one had to be medevaced off the ship. BUT it’s very unusual for US warships to spend more than two months at sea without a port call. “None of the cases are life-threatening and all have either already made or are expected to make a full recovery,” Fifth Fleet said in a statement emailed to Business Insider. Since the first case was detected at the end of last year, 24 of the 25 infected individuals have returned to duty. The US Navy told Business Insider that port calls were canceled, effectively quarantining the ship at sea while medical teams worked to get the situation under control. Exercising caution, it was determined that all of the more than 700 service members on the Fort McHenry would receive booster vaccinations for measles, mumps, and rubella. Viral parotitis is an infection of the saliva glands on either side of the face that’s typically caused by the mumps, which can be prevented through vaccination. 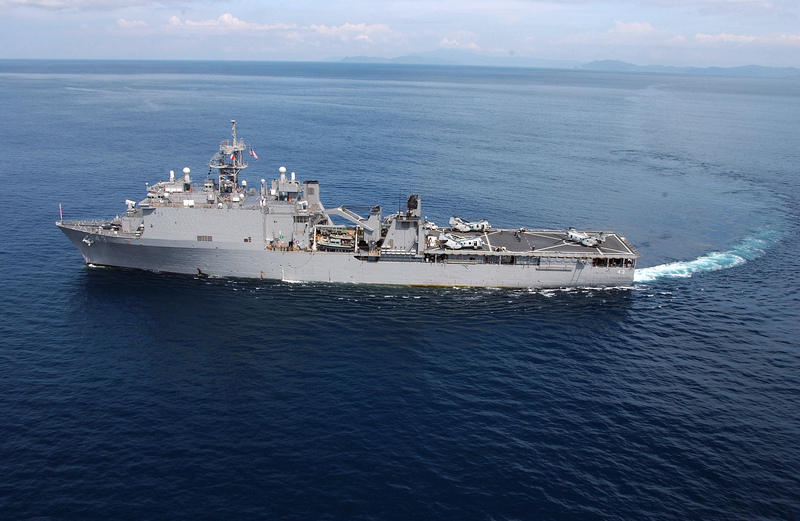 The Fort McHenry, which carries elements of the 22nd Marine Expeditionary Unit, is currently operating in the Persian Gulf. A US military medical team specializing in preventative care will be deploying to the Fort McHenry in the near future to assess the crew and MEU’s health. A US Navy spokesman told Business Insider that a ship is like a college dorm, locker room, or even a first-grade class. People are living in close proximity, and illnesses make the rounds from time to time, but this situation is quite unusual. The Navy said that it believes it has a handle on the situation. As only a small portion of the crew has been affected by the virus, routine unit-level training operations have continued with some modification to the training schedules. CNN reported that the Navy made no mention of the virus outbreak aboard the Fort McHenry until the outlet asked about it.